The brightly coloured and quirky range of baby products by Boon has been expanded at Baby Brands Direct for account holders to easily obtain supply of at the manufacturer’s trade price. There are also no minimum quantities so you can ensure your cash is where it needs to be and in addition if you have high sales of particular lines you can take advantage of transparent volume prices! The increased product selection includes new baby bath lines, including an innovative SOAK 3 stage bath tub that takes parents from birth to 18 months. The 3 stages are show in the diagram and the 30 second video also explains its features to trade and consumers. The bath tub has been designed with a base that is small enough to fit into most double sinks and has a comfortable contoured back with non slip foam to help baby stay in place. 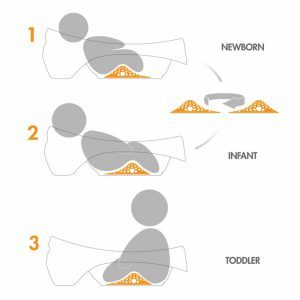 It uniquely offers a removable adjustable bump that can be turned around and replaced for optimal positioning of little one as it goes from baby to infant. It also has a clever colour changing plug that indicates temperature to parents easily, saving the purchase of an additional item. The longevity, features, design and brand all come with an affordable SRP of just £29.99. Another fun, solution led product that truly understands the behaviour of little ones and that we love from the bath range is the Ledge! The waterproof item, as its name suggests sit on the ledge of the bath, and creates and additional area of play and storage of toys. Click through to the product page to view the product demonstration. Best sellers within the brand include the innovative bath toys such as Pipes, Tubes and the Marco Toy and now there is another toy to add to the sales – the BLOBBLES Bubble Wand, yes an absolute must have that enable kids to create bubbles in the fun traditional way just from stirring up suds in the tub. Another must have item with a key difference to its competitors on the market for bath mats, is the built-in hook for hanging and drain holes that expels water. The Ripple also offers a soft texture with secure suction cups on the underside. Within the popular feeding range, it is also worth highlighting the new SNUG products. It’ss essentially a lid made from silicone, and therefore adaptable to be placed on more cups. 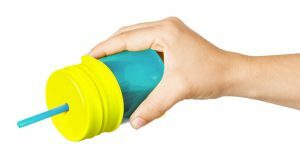 It comes with a staw that can be inserted through the lid and therefore, perfect for little ones who can drink through a straw but perhaps not so steady as to not spill their drinks. The item comes in 2 formats, one as a 3 pack (3 lids and 3 straws) and one with an addition Boon cup. The concept also extends over to the the Boon SNUG Snack pot with a twin pack of snack pots with snug lids with slits for little fingers – more munch less mess! 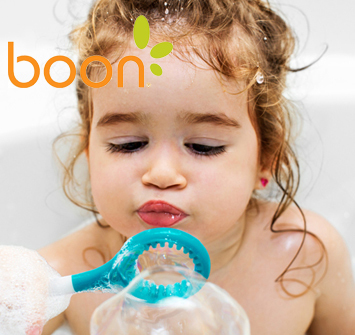 The stylish and functional products by Boon, designed to provide solutions and fun in everyday activities where little ones are concern is available to trade from leading distributor Baby Brands Direct. No minimum quantities, great prices, a quick dispatch service and loyalty credit scheme are all standard services available. Log in now or apply for an account here to start trading these fantastic products!